As the world continues to shift and digitize, the field of IT support is experiencing its own digital transformation. Gone are the days of traditional IT problem solving. Instead, there are series of client-centric IT service management (ITSM) tools, services and trends that deliver an unmatched customer support and end-user experience. 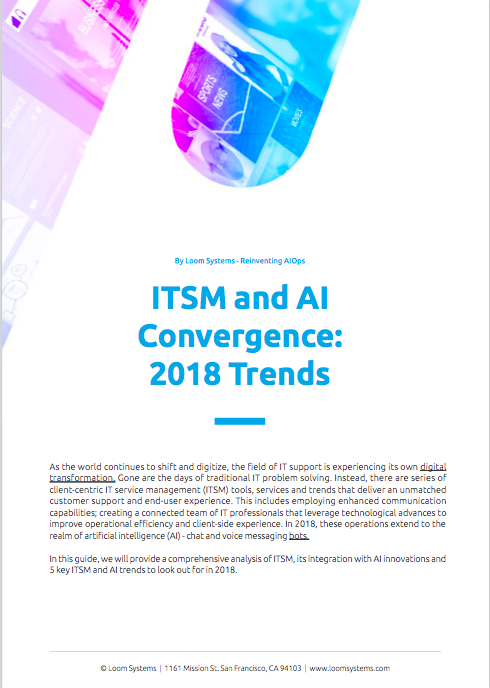 You'll explore 5 key ITSM and AI trends to look out for in 2018.